The Red Hot Peppers originated in 1975 out of the 1953 Memorial Rock 'n' Roll Band. Originator, Robbie Laven, emigrated from Holland with his family in 1959. In 1960 he enrolled at Auckland University to study law. While there, he became involved in the folk club, soon becoming its president. Robbie spent many years in the education cycle, as a student, a lecturer and a post-graduate, and during this time he became a central figure in New Zealand musical circles. During his studies, Robbie moved to Waikato University, and it was there that he became more involved in rock music. In 1971 he formed the 1953 Memorial Rock 'n' Roll Band. In the line-up were Robbie, who was proficient on over 50 instruments, ranging from the banjo, guitar, mandolin and sitar, to such items as the dulcimer and yang ch'in, Rob Murdoch on piano, guitar and vocals, Mitch Park on bass guitar, Bren Collinson on drums, and Helen Collinson on vocals. They were a very popular attraction at University Arts Festivals. In 1973 they released a single on the Family label called "Tallahassee Lassie"/"Let The Good Times Roll". 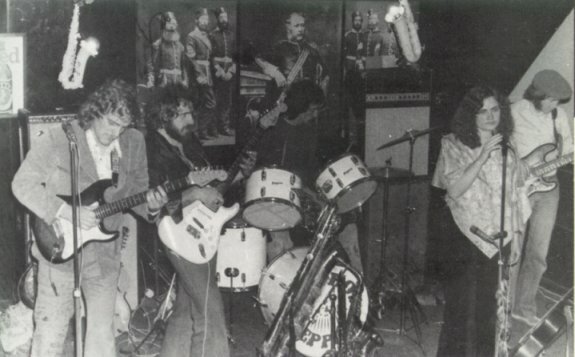 Marion Arts had spent much of the early seventies in another Waikato University band called, Swellsfoot Assembly. This group included Garth Porter, who would go on to be a founding member of Australia's Sherbet. Also in the group was bassist Paul Baxter. In early 1975, Marion Arts and Paul Baxter joined the 1953 Memorial Rock 'n' Roll Band, but the group didn't last much longer with this combination. Robbie Laven decided to form a different group and keeping the services of Marion Arts and Paul Baxter, he recruited Mike Farrell on guitar and Jim McMillan on drums and they called themselves the Red Hot Peppers. Mike Farrell had previously played with Tom Thumb and Rebirth. The name came about as a tribute to Jelly Roll Morton's famed 1920 jazz band of the same name. But unlike them, there was very little jazz in this Red Hot Peppers repertoire. Soon after their commencement, Mike Farrell was replaced by Robbie's brother Hans Laven. In December 1975, the group left on an extended national tour and they finally returned to Hamilton in May 1976. In October 1976, they left again, this time on a national tour of theatres under the sponsorship of the Queen Elizabeth II Arts Council. Crowds were generally small, but the band's standing was strong enough to warrant RCA releasing an album called "Toujours Yours". From it came the single "Dreams To Come"/"Cow Cow Boogie" released on Family. 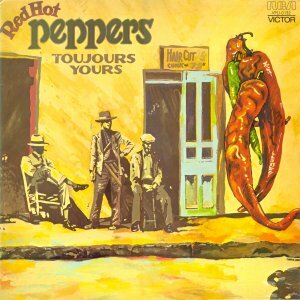 The album didn't sell very well, and the Red Hot Peppers disbanded early in 1977. Robbie and Marion, now an item, moved to Australia. 1975: L to R : Hans Laven, Robbie Laven, Jim McMillan, Marion Arts and Paul Baxter. 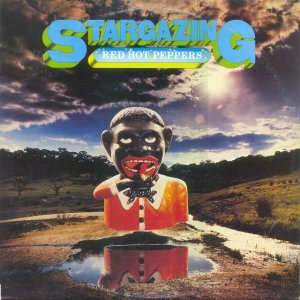 Late in 1977, Robbie and Marion met up with Mike Farrell again in Melbourne and they decided to reform the Red Hot Peppers. They added Vaughan Mayberry on drums, and Pete Kershaw on bass. With this combination, they released two albums in Australia. 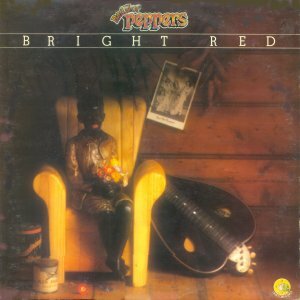 The first in 1977 called "Bright Red" and the second in 1978 "Stargazing". From the two albums came three singles, "Tears Of Silver"/"Heebie Jeebies", "I've Just Seen A Face"/"Can't Stop Bliss" and "Stargazing"/"Li'l Black Dog". Despite building a cult following, they were unable to conquer Australia, so they once again disbanded with Robbie and Marion returning to Robbie's homeland, Holland. In Holland they released two albums together, the first in 1981 called "There's Two Sides To It" and the second in 1984 called "The Lost Angel". Another album was released in New Zealand by the pair in 1988 on Ode called "Child's Play".